Why Is Teamwork Required To Keep Tenants Safe? Many people don’t realize the amount of work that goes into providing a safe, pleasant environment for tenants and guests. When you think about all that is involved to create a positive experience day-in and day-out, it is easy to see why teamwork is required. A visitor drives up to a beautiful high-rise building. She is greeted by a parking attendant and safely parks her car in the parking lot. As she leaves, she doesn’t even notice the cameras or think about the people behind the monitors who are looking out for her safety and watching over her vehicle. She walks out of the parking area into a manicured courtyard and toward the entrance. As she approaches, clean, shiny glass doors automatically slide open. Then she enters the building and walks across polished marble floors to the front desk. At the desk she is greeted by a friendly security concierge who kindly determines the reason for her visit. Next, the security concierge makes a call to inform the tenant that he has a visitor. After obtaining permission, the security concierge smiles and provides the visitor with any needed direction. Next the visitor enters an elevator with a stranger. The door shuts locking her into a small confined space with a man she has never met before. Still, she feels safe. She is not worried about the person who is in the elevator with her because she knows the building is safe. This allows her to concentrate on her upcoming meeting with the tenant. When she arrives at her meeting, the tenant is able to welcome the guest who is in a positive mind frame and happy to be there. After a productive meeting, she is able to exit the building and return to her car without incident and drives off the property without worry. This is a common scenario that occurs thousands of times within a large upscale community. For those who live in these communities or work in these buildings, this scenario plays out so frequently that it is easy to take for granted. Property managers do an outstanding job ensuring all the needed moving parts work together cohesively and for the good of the community. Vendors also play a vital role in the overall experience. The security team and security plan for the community are especially crucial. 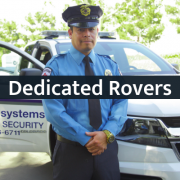 Security personnel has daily interactions with tenants and guests. It is our responsibility to watch out for them. However, there are behaviors that can place the safety of a community in jeopardy. Dangers can occur when the board, property management, and the security company do not function properly as a team. A cooperative and coordinated effort on the part of all three parties is required to ensure the wellbeing of the community. This may be surprising to some because they tend to view security as a stand alone function that is plugged into the overall operations of a building. Do you know why this thinking is flawed? Think back to our opening scenario and consider these 2 reasons. The security program is an integrated part of the visitor’s experience. Security is involved from the moment they approach the parking area, and security remains involved until a person leaves the property. 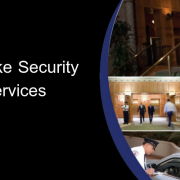 Security personnel are fundamental to the effectiveness of the security program, so the success of a security program is dependent on the retention and development of security officers. When the integrity of the security officers and the security company are compromised then it is ultimately the community that suffers. Officers often request transfers and are harder to retain. High guard turnover hinders officer training and development. Low morale among officers can result in poor service and compromise their effectiveness. However, when management, the board of directors and the security company all work together as a team, policies can be implemented and issues can be addressed to protect the community. In the end everyone will benefit. Officers will be happier, stay longer and will perform better. A positive environment will enhance the overall community. Management will have fewer problems and the entire community will be safer. 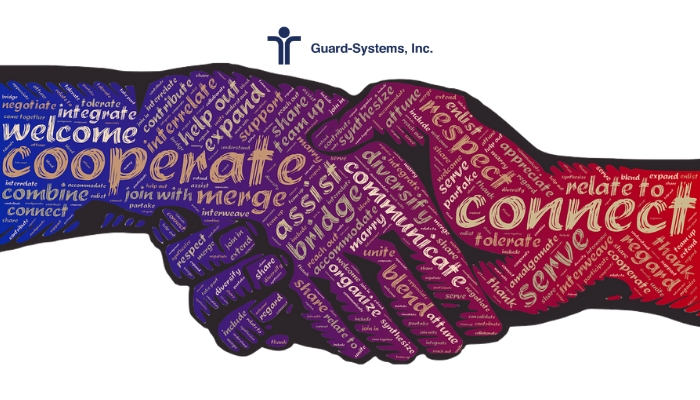 http://guardsystemsinc.com/wp-content/uploads/2019/02/teamwork-required.jpg 400 700 GSI /wp-content/uploads/2016/08/Guard-SystemsLogo.png GSI2019-02-06 13:27:262019-02-06 13:39:14Why Is Teamwork Required To Keep Tenants Safe?